Microsoft expanded its partnership with one of China’s largest defense and technology conglomerates as it announced a joint venture to get Windows 10 operating system on government PCs in the People’s Republic. The company late Wednesday said it will set up a jointly owned entity with China Electronics Technology Group Corp., or CETC, a state-owned company that provides technology for Chinese military and civilian use. The venture will extend a relationship announced with CETC in September, Microsoft said. That venture, tentatively called C&M Information Technologies, will be based in Beijing and will license, deploy, manage and provide technical support for Windows 10 operating system for government agencies and government-owned institutions, said Yusuf Mehdi, a corporate vice president in Microsoft’s Window and devices group, in a blog post released to coincide with a news conference in Beijing. The software company has been cutting deals with a range of partners, including Chinese search-engine giant Baidu Inc., in the wake of headwinds facing Microsoft and many U.S. technology vendors in the country. Microsoft’s software is widely used in China, but often on a pirated basis that brings no revenue to the company. More recently, Microsoft has faced a government probe over how it distributes software and a ban by a government procurement center that prevented agencies from buying PCs loaded with Windows 8 software. 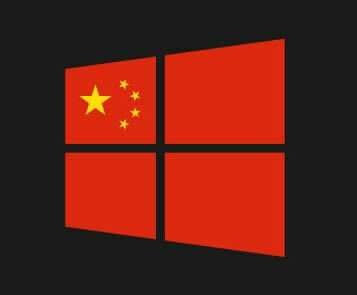 The initial relationship with CETC, announced during a visit by Chinese President Xi Jinping to Seattle, was described as an effort to maintain a “localized” version of Windows 10 for clients in Chinese government and state-owned enterprises operating critical infrastructure. Mr. Mehdi, in the blog post, said the new venture will have exclusive rights to license a specific configuration, or image, of Windows 10 developed for Chinese customers, which includes capabilities such as government-selected antivirus software. The venture, among other things, also will collect feedback from government customers for future versions of the Windows 10 software image, Microsoft said. Mr. Mehdi said Microsoft has no plans to weaken the security of Windows 10 operating system, and will retain ownership of the technology, while continuing a policy of allowing customers and partners to develop additional components to plug into the software.The venture is subject to regulatory approval in China, Microsoft said. In September, Microsoft struck a deal with Baidu, China’s largest search provider, to market and promote Windows 10 operating system. In return, Microsoft agreed that Baidu would replace the default Bing as the OS’s default search engine. For its part, a link on Baidu leads to an application called “Windows 10 Express,” checks a PC for upgrade eligibility, runs a system scan to ensure the machine is able to handle the new OS, and then begins the upgrade download. The download count of the app stood at nearly 1.4 million as of Friday. 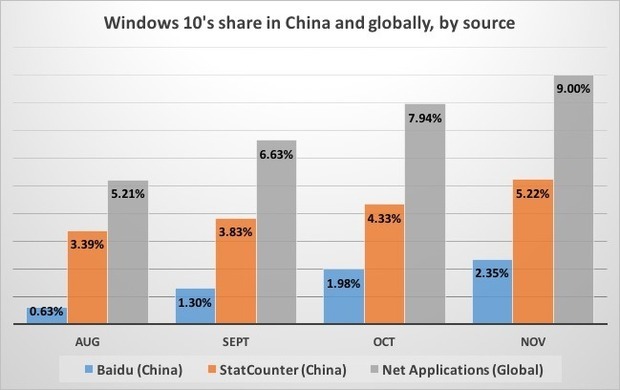 According to Baidu’s own statistics — based on the browsers and operating systems used to access its search site — Windows 10 powered just 2.4% of the China’s PCs in November. That’s far short of the 9% user share of Windows 10 globally as measured by U.S.-based analytics vendor Net Applications for the same month. Baidu’s data also showed a continued slow decline of Windows XP, which Microsoft retired in 2014 and a nearly identical increase in Windows 7, hinting that those deserting the aged OS went to the 2009 standard. Windows 8 never caught on in China — just as it failed worldwide — but its 5.6% and Windows 7’s 52.7% combine for a huge opportunity for Microsoft to add devices to Windows 10 as it tries to reach a goal of 1 billion worldwide by mid-2018. What do you think about Microsoft’s new partnership with Chinese company to promote Windows 10 operating system ? We’d love to hear from you in the comments!